Robert Gene Garza was executed by the state of Texas on September 19, 2013. Robert was pronounced dead at 8:41 pm CDT, inside the Walls Unit execution chamber at the Huntsville State Penitentiary in Huntsville, Texas. Robert was 31 years of age. He was executed for the murder of 31-year-old Maria De La Luz Bazaldua Cobbarubias, 21-year-old Dantizene Lizeth Vazquez Beltran, 22-year-old Celina Linares Sanchez, and 20-year-old Lourdes Yesenia Araujo Torres on September 5, 2002 in Donna, Texas. Robert and his codefendants had been instructed to make a gang hit. It is believed that they shot at the wrong car. Two other women - Karla Espino Ramos and Magda Torres Vasquez - were also in the car. They were injured but not killed. Following his arrest, Robert also confessed to a similar, multiple murder crime in the area known as the Edinburgh Massacre. Robert dropped out of school after the 8th grade. He worked as a laborer prior to his arrest. 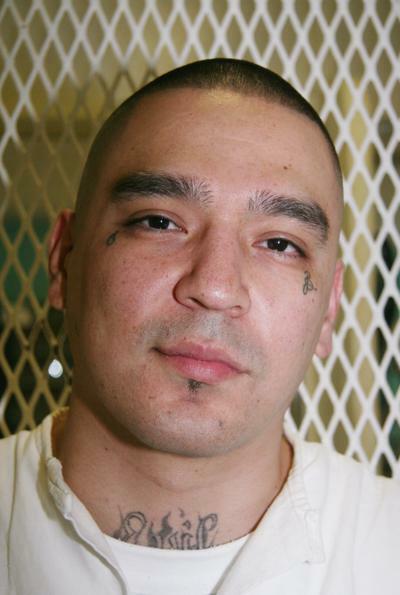 Robert was a member of the TriCity Bombers, a gang known for its violence. Please pray for peace and healing for the families of Maria, Dantizene, Celenia, and Lourdes. Please also pray for peace and healing for Karla and Magda and their families. Please pray for the family of Robert.